8-Bit Girl: Perhaps The Best Alice: Madness Returns Cosplay I've Seen! 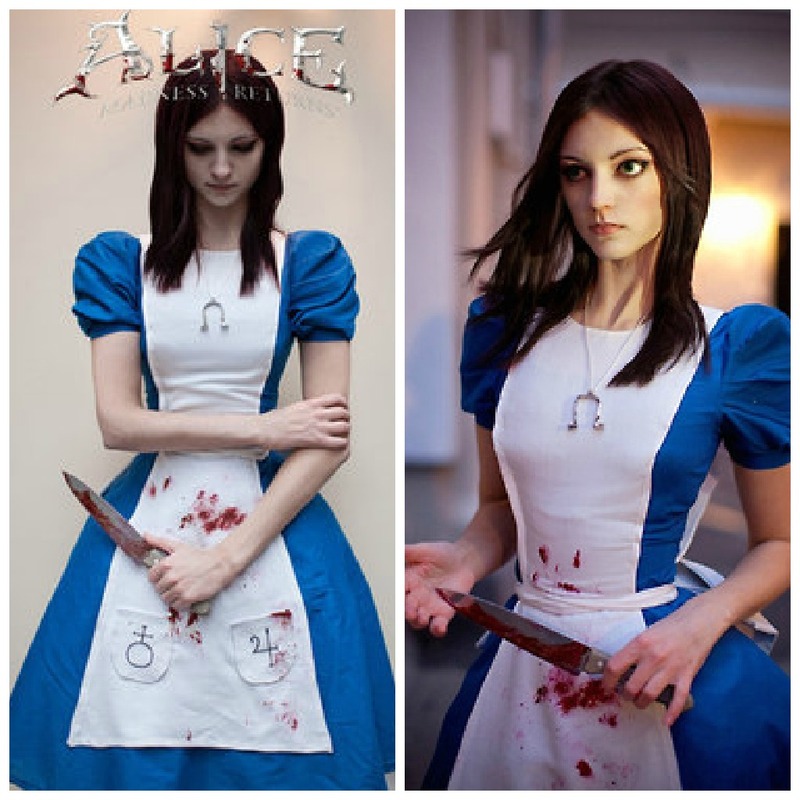 Perhaps The Best Alice: Madness Returns Cosplay I've Seen! I loved Alice: Madness Returns, and happened to stumble upon this rather excellent cosplayer last night during a brief browse. Ormeli on deviantART has plenty of fantastic cosplays besides her Alice one, so it is worth looking through her gallery. 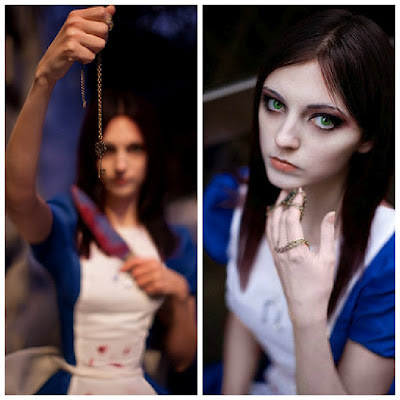 However, I decided to feature her Alice cosplay photos, as she looks scarily like Alice Liddel from the game-the same frame, big eyes and face shape. Check them out below. You can also view the bigger versions via the Alice folder in her gallery. I've seen how expensive it can be to make or buy a ready-made Vorpal blade...so expensive! I think she does the costume justice though. So well done! it looks just like alice! this is amazing! !